A couple of weeks ago, I blasted Amazon owned Alexa for obviously cooking the books in order to artificially reducing the search engine ranking of dissident websites. Today, I read a similar complaint by Jim Stone on his website, causing me to cancel my Alexa account. What made me lose my patience with Alexa was a comparison between Jim’s server stats and mine, put into perspective with the ‘certified’ Alexa rankings of our two sites. Here are Jim’s stats for this month. 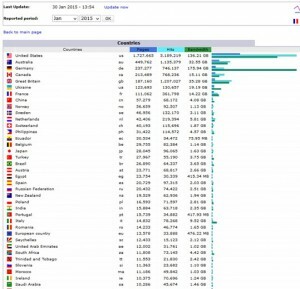 Compare that to mine, the server stats for the Rebel Website. As you can see, the Rebel Site compares favourably with Jim Stone’s website. 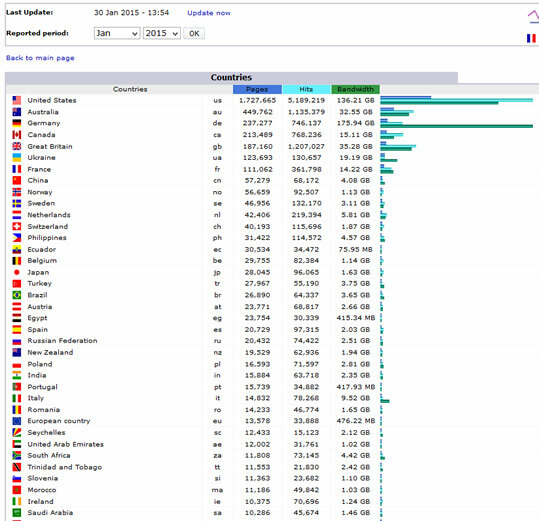 In almost all countries my page views are higher than Jim’s. Now compare that to the certified Alexa ranking of our two sites. 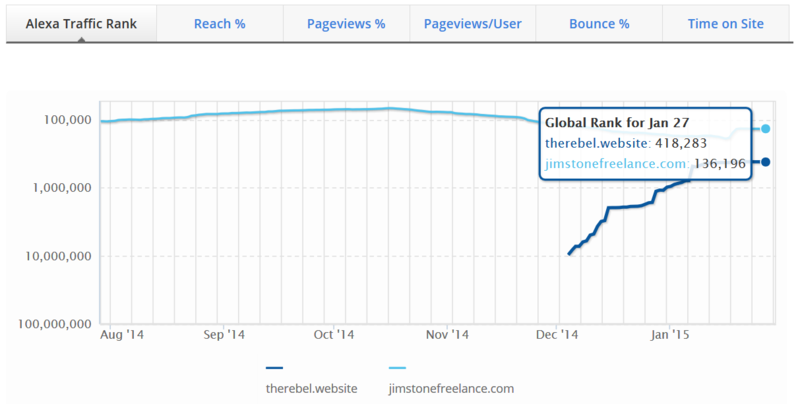 As you can see, JimStoneFreelance.com’s Alexa ranking is 3.5 times higher than that of therebel.website, when the Rebel Website should be ranked higher. There are two kinds of objections Alexa routinely makes when caught cheating. I’m going to counter them in advance. 1. The therebel.website domain name is only about one month old, before the site’s default domain name was therebel.org) and the Alexa ranking number is calculated based on three months of data. You can’t see it all that well from the displayed screenshot, but the Alexa ranking of therebel.website has been fairly stable since January 15. If the low ranking of The Rebel was distorted by the 3 months calculation, it should have gone up consistently, when in fact it went slightly down. 2. The therebel.website’s Alexa stats are ‘certified’, that is based on a script embedded in the head section of all our web pages, making sure, Alexa is aware of every hit to any page on the site. The jimstonefreelance.com Alexa stats are ‘estimated’, which means they are statistically calculated based on data from users who have installed the Alexa plugin for their browsers. This makes even less sense. If the Rebel Website’s Alexa ranking is based on ‘certified’ data, whereas jimstonefreelance.com’s Alexa ranking is solely based on estimates, how can Alexa justify giving Jim Stone’s website a 3.5 times higher ranking, if The Rebel’s pageviews are higher than his. It’s obvious that Alexa is cooking the books. They are manipulating the ranking of dissident sites, depending on how much they dislike them, in order to make them rank higher or lower in search engines such as Bing, Yahoo and Google. They want to make sure that links to sites like mine, that consistently publish articles that are embarassing for our ruling parasties, don’t show up prominently on the search engines. I leave it to my readers to conclude why those low lifes al Alexa would prefer internet users to find a page on Jim Stone’s website than on The Rebel. Personally, I believe it’s got to do with my ‘proudly anti-Semitic’ attitude.